There was a time not many years ago when the ends and means of education did not present a problem of much complexity. Good teachers, willing students where the ingredients of education, and with rapport between them, one might look forward to an educated population of some merit. Today this is not so. For knowledge has brought with it some understanding of the complexity involved in the ingredients of the educational process. The concreted pattern of education still involve a teacher certainly, who is still the heart of matter. But to make possible the growth and development of the teacher, to enable him or her to deal with the growth of knowledge, one has to think of a variety of other sources and materials of education. One has to think of a curriculum or general frame works with in which he works and with in which the subject – fields are defined in progressive step for progressive age group of students. One has to think of text book that cannot be equated with the teacher, but that can make better teachers of good teachers, and less bad teachers of bad teachers. One has to think of experimental instructional materials, teacher’s handbook and student’s work book to accompany textbooks, and inordrer to develop these, one has to plan for workshop in which the teacher shall be an active participant and carry out organized research in the total process of education. One has to think of how to enlarge the subject content of teaching at school level and not merely to make a fetish of methodology, though methods do matter. Due to knowledge explosion, there is a spread of education not only in India, but all over the world. Due to this change social needs have changed accordingly. A teacher is expected to face the new changes by undergoing trough training for new trends in education. Such training needs are satisfied by NCERT – National Council of Educational Research and Training. We are long past seeing education in national pigeonholes. As there are no barriers in health, art, idealism. So there can today be no barriers in knowledge or education. It is the business and the accepted obligation of NCERT to see the total dimension of the education, international or national, to study the advances made elsewhere, to adopt, where possible, and to adopt its own slender resources to these changes. In doing this NCERT must be aware of the distinctive features of India’s own policies and economy. Numbers are for India an obsessive problem. She is a poor country. She has to acute shortage of teachers and an even more acute shortage of trained teachers. Upon all these NCERT must base its attack. 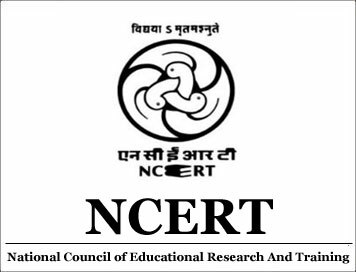 The National Council of Educational Research and Training was established in New Delhi, on 1st September, 1961 for providing academic support in improving the quality of school education in India. It is the academic adviser to Ministry of Human Resources development (HRD) of the government of India. The ministry draws upon NCERT’s expertise while formulating and implementing policies and programs in the areas of school and teacher education. Funded by the government of India, this autonomous organization is registered under the Societies Registration Act (1860). The General Body is the policy making body of the NCERT with the Union Minister for Human Resource Development as its President. All the ministers of education in the State and Union Territories are its members. Beside experts in the field of education are also nominated as members. Its membership patters helps in taking policy decision at the highest level. The governing body of the NCERT is the executive committee, again with the Union Minister for Human Resource Development as its ex-officio President. The Union Minster for State is its ex-officio vice president assisting the Executive committee dealing with finance, establishment matters and programs. Management of all the affairs and funds of the council vests in the Governing Body or Executive Committee which is composed of officers of the Faculties of council , representatives of Ministries of education and finance, and eminent educationists. Its programs are carefully considered by program Advisory committee on which are represented several Faculty members, representatives of state Institute of education and University Department of education. It has several advisory committees for dealing with specific problems in different fields like publications, science etc., with men of repute and standing drawn from all over the county.